The Federal Government has received N1 billion cash from a former Comptroller-General of Customs who allegedly stole N40 billion. 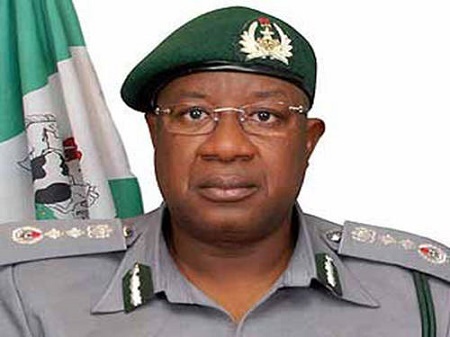 A former Comptroller-General of the Nigeria Customs Service, Alhaji Abdullahi Dikko, has returned N1,040,000, 000 to the Federal Government in cash he reportedly stole out of the N40 billion Economic and Financial Crimes Commission alleged he diverted from the coffers of NCS while in office. Dikko served as the head of customs between August, 2009 and August, 2015 and has been under investigation by the EFCC. The funds were allegedly stolen from proceeds of the seven per cent cost of collection and one per cent comprehensive import supervision scheme. Earlier in the year, the EFCC seized a mansion belonging to Dikko located at 1 Audu Ogbeh Street, Jabi, Abuja worth at least N2bn.